This is surely the most hipster brand of Jeans anyone has ever devised or conceived of anywhere, ever, right? Look at the logo for crying out loud! LOOK AT IT! It was just announced this week, and Amazon have already moved to protect their ‘Blue Shade’ innovation which purportedly blocks out Blue Light and lets you get to sleep while still reading your Kindle Fire. I mostly include this application from Apple because my Magic Keyboard (old generation) stopped working this weekend for no good reason whatsoever, and this gives me a good opportunity to rant about it. According to my Google search, this is a very common problem when you chance batteries in the device, particularly if you haven’t used it for a while. So now I’ve a shiny silver paperweight (that’s our of guarantee) and no bluetooth keyboard. Screw you Apple and your Magic Keyboard. This is mostly just included because it’s an hilarious logo for FC Koln. Look a the goat there, casually leaning on a logo like a boss. Something about the name of this strikes me with fear. There’s a touch of skynet about it isn’t there? Cloud eye! This Filing was made by FR Kelly, which is an Irish firm that does a huge amount of Trade Mark work. 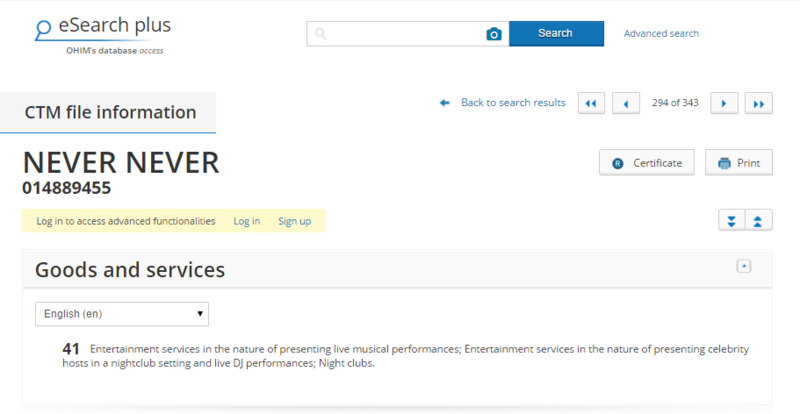 “Never Never – Entertainment Services in the nature of presenting celebrity hosts in a nightclub setting and live DJ Performances’ – Sign me up quick! The FA Cup Logo ladies and gentlemen! Finally, I’m not sure what this is, but is’t some sort of USB Decide thing, wouldn’t you say? Anyway, they are seeking Trade Mark protection as a sneaky extra protection I would suggest! NextYou’ve heard of Haribo Tangfastics, right? What about Tangfast-Chicks! !